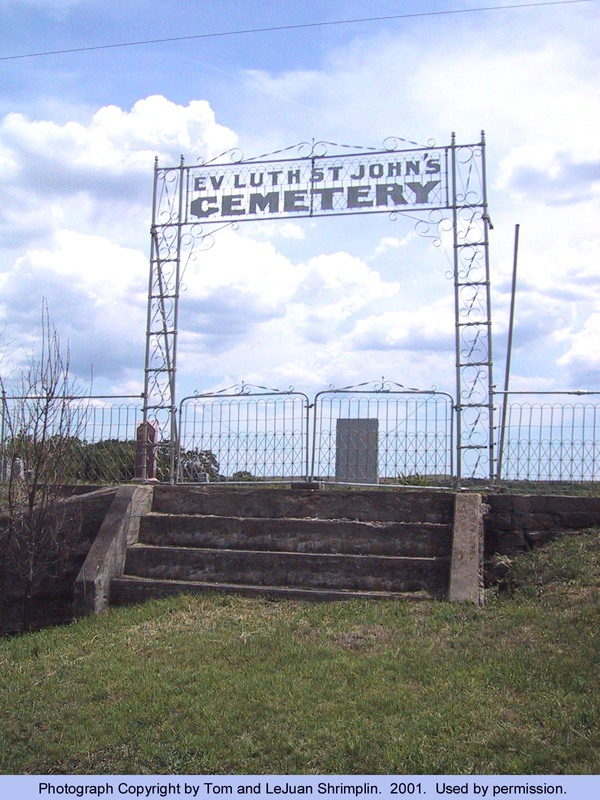 Historical Note: The official name for this cemetery is now the Evangelical Lutheran St. John’s Cemetery. This cemetery has also been known as the Winkler Cemetery and the Niehenke Cemetery. The church records and burial records are with the Pastor at the Barnes St. Peter Lutheran Church in Washington County, Kansas. August and Fredrick Winkler built and operated a grist mill on the banks of Fancy Creek from 1857 to 1895. A general store and blacksmith shop soon followed. A post office was established in 1874 as Winkler’s Mills. The mill ceased operation in 1895 and the post office was changed to Winkler. School District 25 was organized in 1870. St. John’s Lutheran Church was organized in 1889 and was active until 1961. The school is the last remaining building. Other early families in the valley were: Burke, Bucheim, Caley, Meyers, Friedrich, and Louis and Wilhelm Kunze. 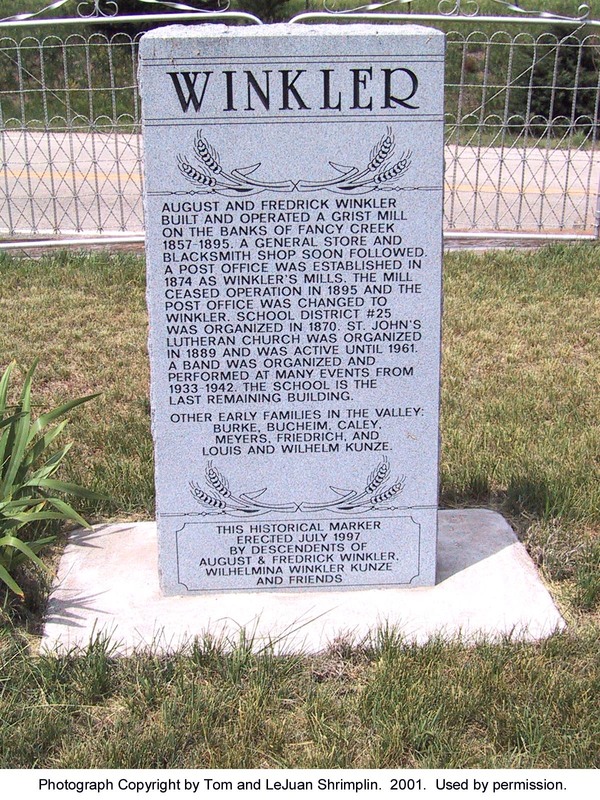 A marker was erected in 1997 by descendants of August and Fredrick Winkler, Wilhlmina Winkler Kunze, and friends. Directions: From Randolph, take Highway 77, north about 4 miles. Turn left (west) onto Winkler Mills Road, County 376, for four miles to Fancy Creek Road. Turn right (west) onto Fancy Creek Road. County 376 also turns right (west) onto Fancy Creek Road. Proceed 1.3 miles, just past the intersection with Ober Road, County 875N. The cemetery is on the left side (south) of the road.